555 Pennsylvania Ave., N.W., Washington, D.C. The Newseum is a museum in Washington D.C. dedicated to liberty of speech, media, journalism and, in a broader sense, to the freedoms guaranteed by the First Amendment to the United States Constitution. 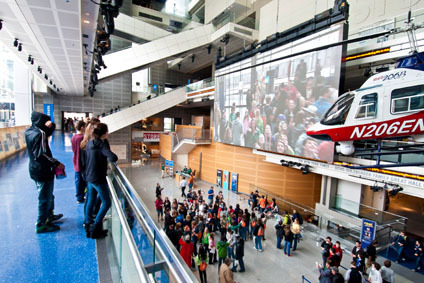 Founded in 1995, the museum is housed since 2008 in an imposing 250,000 square-foot building designed by the American architect James Stewart Polshek, while the museum’s core exhibition has been designed by Ralph Appelbaum Associates. 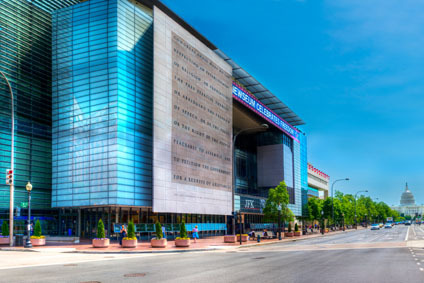 The Newseum will be closing in its current location on December 31, 2019, since, due to unsustainable operating costs, its building was sold to Johns Hopkins University. There is currently no information about a possible reopening in a different location. 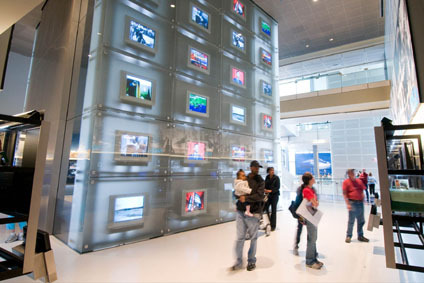 The permanent exhibition of the Newseum is composed of 22 sections, covering various themes: from the early radio days to new media, from the battle for civil rights to the 9/11 events. The museum also features the largest section of the Berlin Wall outside Germany and an impressive memorial to the journalists, photographers, and reporters that, since 1837, have lost their lives for the sake of truth and information. 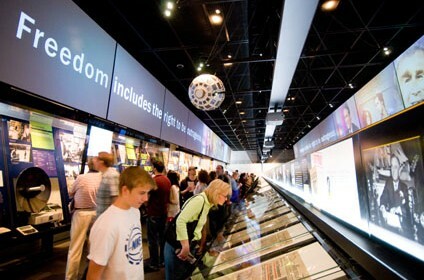 The museum’s collection includes newspapers, historical documents, audiovisuals, multimedia exhibits, installations, artifacts, and photographs. 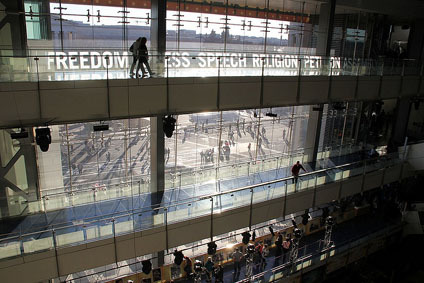 The Newseum organizes temporary exhibitions, conferences, meetings, guided tours, workshops, classrooms, and special events, and includes theaters, a self-service restaurant, a cafe, and a shop. All spaces are accessible to people with disabilities.